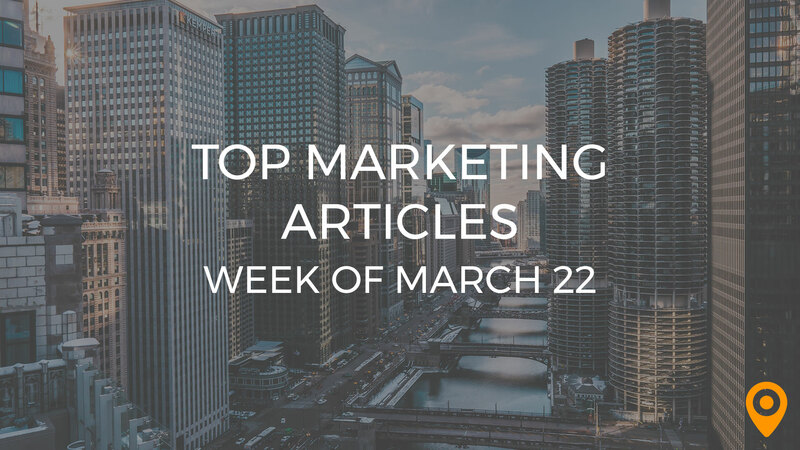 This week’s roundup includes tips to create valuable Content, improve the effectiveness of Email Marketing campaigns, and increase Organic traffic to your website. Learn how to engage your audience using Social Media, and gain insights about user behavior with CRO. We’ve covered all of this news and, much more, below! Maria L. Muniz offers useful tips to share Content and increase followers for your brand. Nate Oulman presents ways to create valuable Content for your audiences that inspires them to convert. Joe Pulizzi discusses the expected Content Marketing trends that helps promote your brand promotion, and improve audience loyalty. Rebecca Lieb highlights the trends expected to gain momentum in the coming year, 2017 to shape the Content strategy of your business. Caitlin Burgess offers easy to execute Content Marketing ideas to keep you connected with your audience during this holiday season. Mike Lieberman presents ways to optimize every aspect of your website to generate more leads. Learn how experts boost their business profits by switching from A/B testing to Conversion Optimization process, from Vaishali Jain’s blog. Paul Simmons offers valuable tips to engage customers and make an impression before they leave your website. Jacob Baadsgaard highlights how a data–driven approach to site optimization can make a great impact on the Conversion rate. Paul Rouke highlights the importance of moving beyond A/B Testing and adapting CRO to gain insights about user behavior. Olivia Dello Buono discusses how colors used in emails can affect the subscriber’s behavior, and the overall performance of your Email campaign. Learn how to accelerate your Email list building process by leveraging the power of guest blogging from Jawad Khan’s blog. Jordan Lore highlights techniques such as using only one call-to-action in your Emails and using a responsive layout to improve the effectiveness of your Email Marketing campaigns. Kristen Dunleavy provides helpful tips to turn holiday shoppers into your loyal customers with post-holiday Email campaigns. Learn how the recent changes to Google’s Business page filters can impact your business from Matthew Hunt’s blog. Jay Baer highlights the importance of first-party and third-party reviews as they help consumers make buying decisions and serve as critical ranking factors. Puranjay Singh highlights how user engagement, and staying on top of technical trends can improve your rankings and Organic traffic. Eleonora Zolotaryova discusses SEO plans to increase Organic traffic to your business website. Learn how to build organic, self-created and outreach backlinks to improve your site’s rankings, from Govind Agarwal’s blog. Neil Patel highlights the significance of optimizing site speed and user experience to improve your SEO rankings. Ann Smarty highlights ways to use Twitter Moments to promote your brand. Susanna Gebauer provides tips to engage your audience through Social Media channels. Follow the valuable tips from Alex Sobal to make the most of your holiday posts using Social Media. Heidi Cohen highlights Social Media lessons inspired by Dr. Seuss to help engage your followers in a truthful manner. Jay Shemenski presents an effective framework to evaluate your Social Media strategy to enhance the effectiveness of each channel.